After filling our bellies at the Gazebo Wine Garden, Lisa and I passed by the British Lolly Shop and the first thing that caught my eye was the unmistakable green tin bottle of Lyle's Golden Syrup. Oh, this little green tin with the gold lion on the front brings back so many childhood memories. 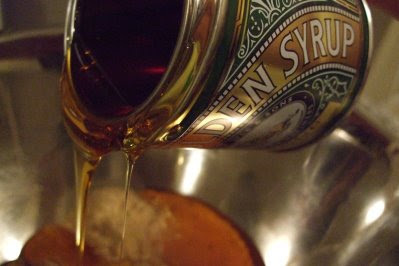 Mum would always make her awesome banana pancakes on the weekends and drizzled this golden syrup over it. I would always get in trouble for trying to sneak my spoon into the can for extra. They don't sell it in supermarkets here but they do sometimes have it on special at Aldi. I couldn't resist picking up a can even though it was pretty expensive and boy, am I glad I did. I had forgotten how different this syrup is to the CSR golden syrup. The CSR syrup is darker and more bitter. 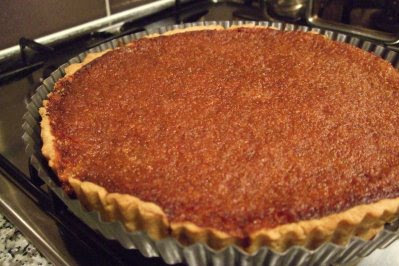 It seemed like a waste to just eat it on its own so my brother suggested I made this really treacle tart recipe he has seen on Lifestyle Food. 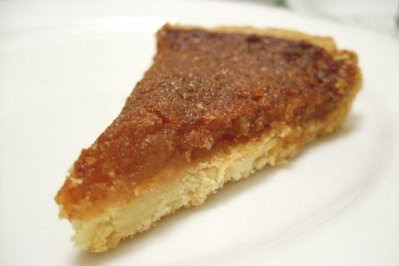 Like I already mentioned, this tart is so so sooooooo easy to do, especially the filling which you just bung in a bowl and stir! 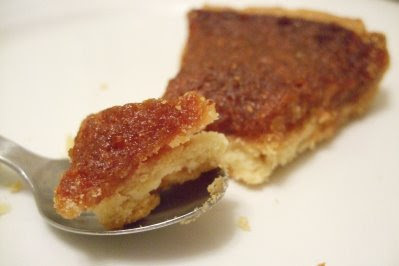 The Lyle's Golden Syrup made the filling rich and lovely with not even the tiniest hint of bitterness. Loved it! In a bowl, rub the butter into the flour with your fingers until it resembles fine breadcrumbs. Mix in the egg with a knife, then knead on a clean, lightly dusted work surface to form a smooth dough. 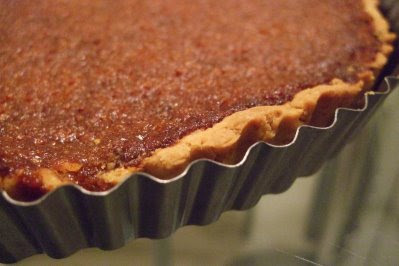 Use the dough to line a 23cm/9in loose-bottomed tart tin, prick the base all over with a fork and leave to rest in the fridge for about 30 minutes. Preheat the oven to 190 degrees C/375F/Gas 5. 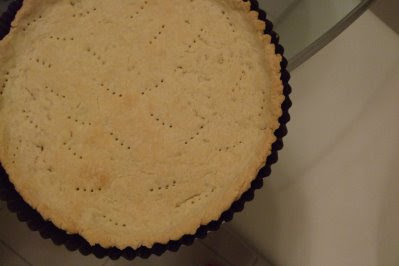 Line the pastry with parchment paper and weigh down with rice or ceramic baking beans. OR if you have incredibly stingy people in the house like my brother who refuse to let you use their rice, cover the pastry with a couple sheets of foil and weigh down with 5cent/10cent coins. You just have to be careful when taking the hot metal off after baking. 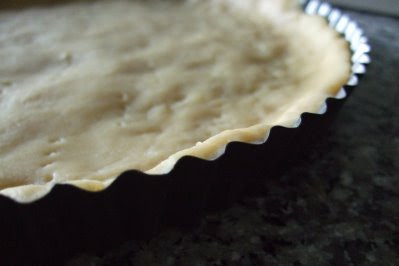 Bake the pastry blind for 10-15 minutes, remove the paper and rice or beans (or coins) and return the pastry case to the oven for a few minutes more, until light golden-brown. 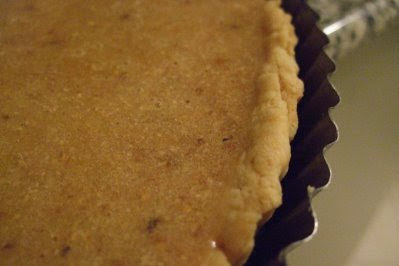 For the filling, mix together the filling ingredients in a bowl and pour into the pastry case. Return to the oven and bake for about 30 minutes. Serve hot or cold with clotted cream or double cream. Oh wow I'll definitely give this a go too! I haven't done the oatmeal cookies yet but I will probably this week! mmm, this sounds nice and sweet. It's funny that your brother won't let you use his rice, but will let you use small change! Lol! Asians and their rice! That's hilarious! This looks like an easy recipe indeed and I love the strange stuff you can find in the British Lolly Shop - reminds me of those childhood 1c and 2c lollies. oh, i see nothing wrong with toffee and chewy like - sounds fantastic! I can imagine my parents "you need to use rice for what??" Trisha - Haha cool! :) Let me know how either of them turn out! 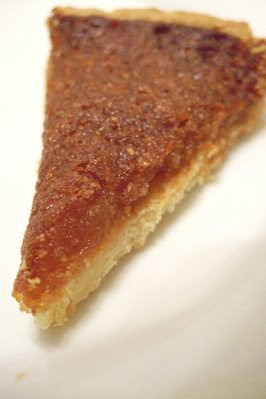 Arwen - It is pretty sweet, but luckily not too sweet since you don't add sugar to the pastry :) Haha it's because they he knew I could give him the coins back but he wouldn't be able to reuse the rice! Chris - Me neither! I was a fan of the toffee but my brother thought it was chewy :( LOL that's exactly what my parents would be like too! Haha rice! 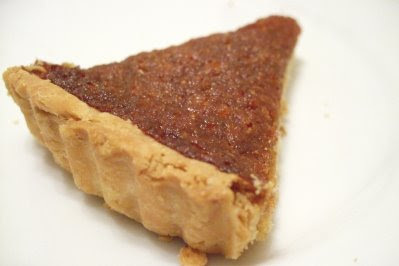 Mmm tasty looking tart! 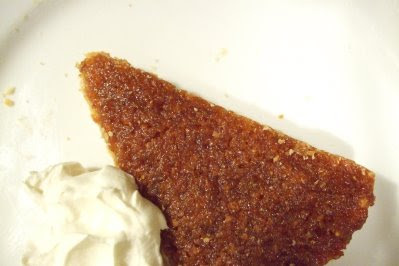 and with toffee top? Yum! :D Thanks! Yes I'm for Team toffee top! lol @ the coins! that is so cute! I never thought of using coins, but it sounds quite clever. What a great idea to use the coins! It does look cute! Maria - Haha I got the idea for Heston Blumenthal :) You have to be careful though and make sure there's enough foil so it doesn't rip! Rilsta - Hehe thanks! 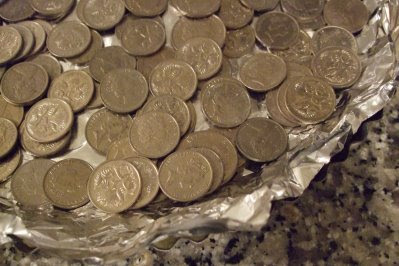 It's a little fiddly since the coins get quite hot and are dirty so you have to make sure they dont touch the pastry at all - lots of foil! Bloggers Birthday & Tupper Parties!